How well are your current sales processes and strategies working? In this episode of #AskYokelLocal, we answer a question coming from one of my dearest friends, "How to build an online sales funnel." 1. Improve your local SEO strategy. This is especially important if you're working on mini-site based off the corporate website of your company. Why? Because when these big companies give franchise owners niche sites, these mini-sites are separate from the corporate domain. From an SEO perspective, the franchisee's site and corporate site become disconnected, leaving the mini-site having to fend for itself. 2. Use marketing automation to reach your customers. To do this, you must understand the buyer's journey. This will allow you to build a robust email marketing campaign to maximize your customer's lifetime value. Marketing is about getting your current customers to do business with you again. Now, don't get me wrong this is not to say you shouldn't ignore strategies used to get new customers; however, as they saying goes, "It's cheaper to keep him/her." 3. Use today's technology to reach prospective customers in the awareness stage of the sales funnel. These technologies include social media, blogging, and video marketing. You can also use blogging and social media to reach prospects before they are aware that they have a problem. Watch the full video above for a more in-depth answer to building a more consistent sales funnel. Want more information about how these strategies fit into our 6-step framework? Click here to download your copy of 1-page inbound gameplan. If you have a marketing-related concern that has been on your mind lately, subscribe to our blog and #AskYokelLocal. Hey everyone, Darrell Evans, coming to you here with another edition of #AskYokelLocal. Today, I had the privilege to answer the question of not just someone who’s on our e-mail list or not just someone who reads our blog, not just someone who is a customer or client of ours, but a really good friend of mine. So, shout out to my good friend and business associate of 20+ years, my good friend, Marvon Williams, who runs an American Family Agency down in Acworth, Georgia. One of the top producing guys and he’s a class act, so I had to get that into this edition of Ask Yokel Local to shout him out really quick. But Marvon, your question to me was: How to build a consistent sales funnel online. I’m going to approach this answer, and a few tips in particular, to the type of organization that you are a business owner in because we have had some experience working with Geico and AAA. Given the fact that you work in a regulated industry—so for those of you watching this, who may be working in the financial services area or the insurance arena or maybe in the mortgage arena—many arenas out there are heavily regulated around what you can and can’t do as an independent business owner, or franchise owner, or store owner—I’m not sure all the different terminology out there for the different owners—where corporate will be governing the nationwide, international campaigns online. We see this all the time where the local business owner, the local franchisee will need to have their own strategy. They need to have their own budget, their own resources. So let me dive into a few ideas as it relates to you locally, for you Marvon, and for those of you watching. So if I go back to 3 or 4 years ago, when we had the opportunity to Geico—and again, we don’t work with Geico any longer—but the number one thing we did was help the local business owner make sure that they were found in their local marketplace. What we find is a lot of these larger organizations, international, multi-national companies, they focus larger on the corporate website, “TheBigName.com,” and they’ll build mini-sites for their franchise owners. We’re working in the healthcare arena with the Nationwide franchise, and they build these micro sites. Well, these micro-sites are separate from the main corporate domain. So that means, from the SEO perspective, or the Search Engine Optimization perspective, or from a local optimization perspective, they’re just disconnected and they have little to no domain authority, which means when someone searches a phrase, for instance, for car insurance quotes in a certain city, like in your case Acworth, Georgia, or if they’re searching for a certain type of healthcare of financial service, they’re likely to find their competitors who are making a better effort at being present in the local marketplace. So, the first thing I would recommend is looking at some sort of local search optimization strategy—we call it local SEO for short. 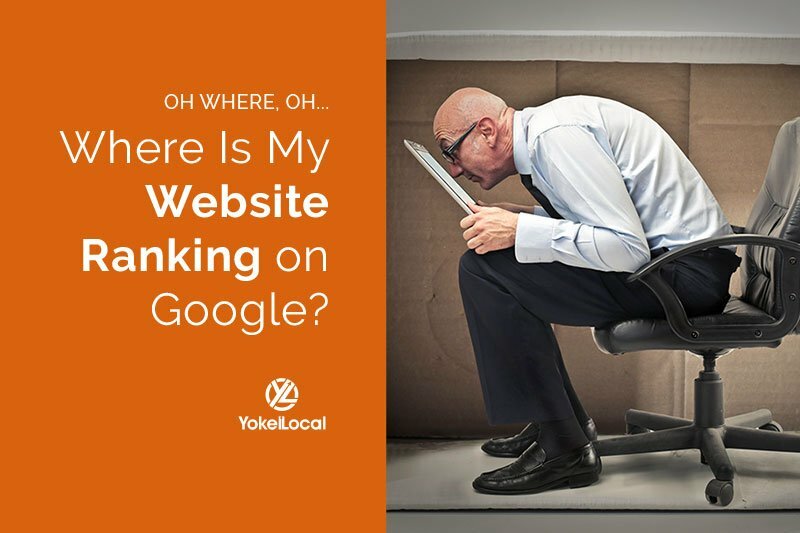 The three things that are important to local SEO in your case, is: the presence of your company name, your specific location, your address, and your company’s phone number—that is your specific office’s phone number—in the local search directories, such as Google, Yahoo, Bing, Yelp, Facebook, and I could go on and on and on and on. There are literally hundreds and hundreds of directories, that are relevant and prominent, that would help you get found more, in terms of that sales cycle online. But of course, there are limitations to that strategy in the sense that most people, when they’re shopping for something like insurance of financial services, it just depends on where they are in their buyer’s journey. 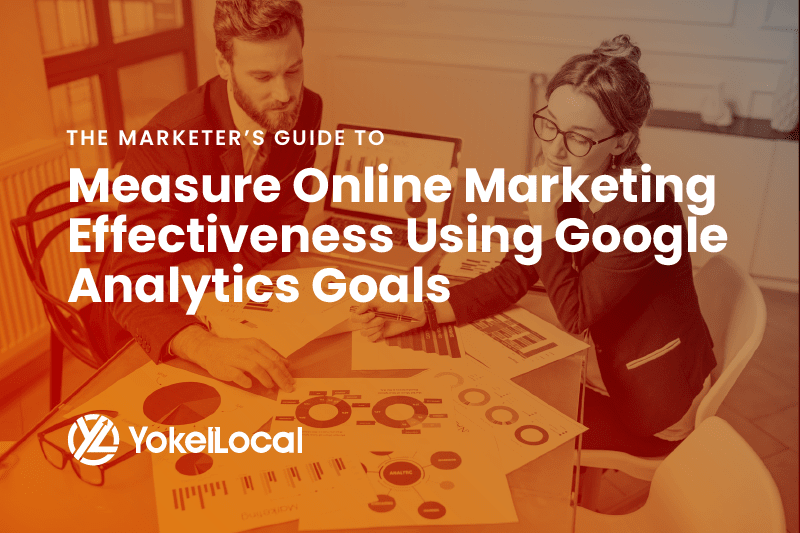 So local search engine optimization is one idea or strategy and to do that, you don’t really have to have—I don’t believe your company would be against it. You might have to do some checking, but you might be able to hire a firm like ours to do something like that for you. There may be some things you have to get approved, but this is probably the easiest strategy. Let me move to strategy number 2. I always like to give answers and talk about where these strategies fit into the three stages of a buyer’s journey. Marvon, you and I will—you can remember this back from the real estate and lending days, where we spent a lot of time running the track together. Buyers are not always ready to buy when they reach your website. They’re not even always ready to buy when they pick up the phone and call you. So in understanding the buyer’s journey—for instance, I’m going to put this more relevant to insurance—someone has particularly, maybe a homeowner’s insurance policy or maybe an auto insurance policy, or maybe you want to cross-sell an existing customer who is in your database. So the idea I’m going to be talking about is how to implement and build a robust, segmented e-mail campaign. What we always think about is how to get new customers online. A lot of people talk to us about new customers, and how to get found on the first page of Google, and building up a fan page, and running Google ads, and all of that is great from a traffic standpoint, but when you’ve built a large database and when you have a book of business, a clientele, you have probably the best asset in your possession that you could ever want. Because getting a current customer to do business with you again is easier and less expensive than acquiring a new customer. And in our 6-step framework, this shows up in step 5 of our 6-step framework, which is essentially maximizing the lifetime value of your customer. So, what we like to help clients do is build in some detailed, far into the future, thought out campaigns. For instance, what typically is going on in the life of that particular customer throughout the calendar year? There are some simple things like setting up touchpoints for holidays. I mean, how many holidays are there every single year where they’re probably not being touched by their business professional, their professional service provider. That’s one idea. Another idea—I think what one of the mistakes is using e-mail to simply promote a special or promote getting a quote, or promote the idea of, “Hey, did you know that we sell these other three products or services?” That is technically a mistake. What you want to do is build a relationship with your current clients and existing database as if it was a mutual fund, meaning, there are lots and lots of stocks in a mutual fund, and at any given time, some of those stocks will be performing well and not performing well, but in the long-term, it should give you a larger rate of return over the long run. So, what I’ve always talked about in terms of marketing, and this is online or offline—it doesn’t really matter how you acquire the customer—is maximizing the long-term growth value of your database. And that is if we think back to the 6 degrees of separation, everybody in your database knows 200 people. So how do you build a deeper relationship with your database? So that would be an idea number two. How do you build campaigns in a deeper level? And again, that’s in stage 5. What I talked about in our local SEO is probably in stage 2 of our 6-step process, and then what I just shared there is stage 5. And by the way, for those of you who are wondering what I’m talking about, about 6 steps, you can find that on our website at YokelLocal.com and download our one-page outline of the 6-step process we’ve used to grow businesses for the last 5 or 6 years. But really, it’s not the last 5 or 6 years. I’ve been doing these 6 steps in 20+ years in business, before the web. So the last thing I’ll give you, Marvon, and this one is going to be a little touch and go, but I call it expertise marketing. And that is, you’re a phenomenal expert and many of you watching this are just masters of your craft. You’re not just good salespeople. You’re not just good at selling the technical of your product or service. You’re really masters at building relationships with people. So, using today’s technology—and this is where, with a corporation maybe like AmFam, maybe they’re going to have some issues with this, you might need to get some approval—and that is using today’s technology to reach people in the awareness stage, or maybe even in the pre-awareness stage. And what I mean by that is, when we think of the three stages of the sales funnel, we think of awareness, consideration, and decision. Those three stages—someone is aware they’ve got a problem they want to solve, they start considering their options for solving that problem, and then they make a decision. What we like to say as a business expert, as a business professional, professional service provider, is how can you show up before they’re even aware? How can you show up when they were least expecting you to show up? How do you do that? You can do that with social media, you can do what with Facebook, and Twitter, and video—what I’m doing here right here. I am a big proponent of getting into the customer’s eye space, ear space, in their sphere before they’re in need. Because if they’re in need and you work in an industry that has any sort of stigma of commoditization, which means your service and product is no different company’s service and product, which is no different than a different company’s service and product, and it’s all going to come down to price, if that’s the stigma in their head, then they’re going to go price shopping. And let me tell you, from years and years, and years of working in the real estate mortgage industry, that price shopping is the last thing you want to be doing when you get a phone call and a lead from the web because they can get it anywhere. So how can you get ahead of the price shopping mentality, build value, show expertise? So, social media could be one of those ways, using video. I really, really think that what we do in our process, and I would encourage—and I’m not again sure, Marvon, with where your company’s policies are—but blogging is another fantastic way. I do see that on your website, you have blogs that are written by corporate. You might want to figure out and see how you can use those blogs on a Facebook page and start building an audience in your local area with very inexpensive Facebook ads, which would bring awareness to people long before. Maybe they’re not happy at All State for example, and you could be running a Facebook ad to people within a 5-mile radius of your office. I looked on the map and there are hundreds of insurance agents in your area. So maybe you dial in a small Facebook campaign around a 5-mile area, and you do what we did in real estate, Marvon, which is farm. You farm the area. Basically, you put value into the marketplace without saying, “Hey, you should get a new quote from American Family.” So there are some farming techniques. But listen, I’ve gone really long on this episode, but I want to go back really quick and get those three ideas, those three strategies of how to build a more consistent sales funnel. 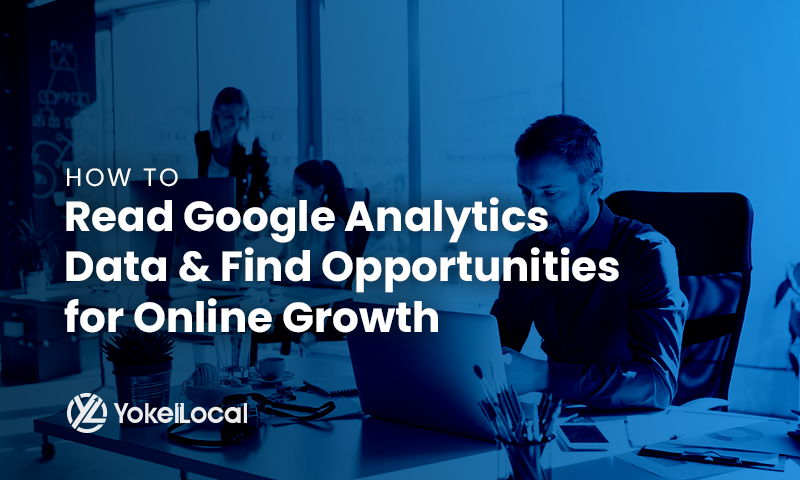 Number one, see what you can do about improving your local SEO strategies. You’re working on a third-party, or what we call a niche, or mini site, based off the corporate website. But number two, look at how you can take your current e-mail database and use some marketing automation. There are some very simple, easy marketing automation tools out there that are super simple to segment your database and segment those people who have been in your database 12 months, 6 months, 8 months, and maybe even lift the load of your sales team from having to make a lot of phone calls. You’ll have people reaching out to you. And then the third thing is, how do you get into your prospects’ space before they’re even aware they have a problem. And you can do that with social media, with blogging, with video, and really running a very effective, but not too expensive Facebook campaign. So that will wrap up today’s edition of #AskYokelLocal. Long edition, but sometimes things are not just black and white. Online marketing is not easy. We, again, have a 6-step strategy, a plan, a blueprint, a playbook, whatever you want to call it, that we power all of our clients’ marketing through. Again, you can find that at YokelLocal.com. If you would like to get a question answered live, or through video, on another edition of Yokel Local, just go to YokelLocal.com/subscribe. If you join our blog, subscribe to our updates and blog, then we’re going to take you to a page where you can ask your particular question, and we’ll be happy to answer it on an upcoming edition of Yokel Local. My name is Darrell Evans, co-founder of Yokel Local, and I’ll talk to you again on another episode. Bye-bye.